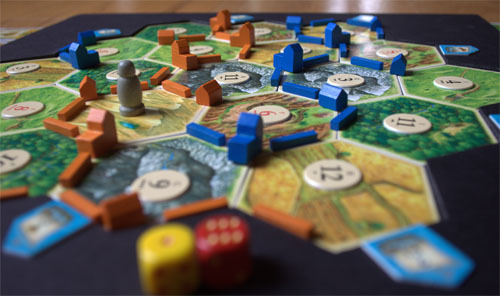 Join fellow Euro-game enthusiasts for an early evening of games like Settlers of Catan, Ticket to Ride, and Dominion. Don't know how to play? We'll teach you! Then check any of the games out to play at home. Strategy Gaming Night at Shirlington - Meets every other Sunday, 6 - 9 p.m.
Strategy Gaming Afternoon at Westover - Meets one Saturday of each month, 1 - 5 p.m.
Strategy Gaming Wednesdays at the Connection - Meets one Wednesday evening each month, 6 - 8 p.m.